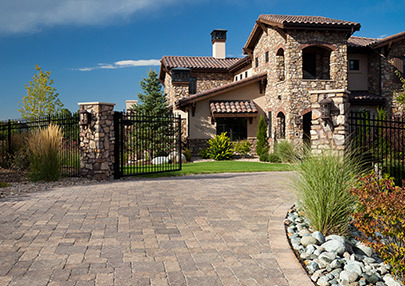 Pavers are designed to limit moisture absorption, which could cause traditional paving methods to lift and crack. Therefore frost damage is virtually non-existent as the joints between the pavers absorb the damaging powers of frost by flexing and not cracking. Pavers can be shoveled and plowed without the need for special attachments or equipment. Because of the way they are designed, pavers can withstand the scraping of any shovel blade and despite the misconception, the shovel or plow does not get stuck in the joints, it glides over it just like it is regular concrete or asphalt.